Jane Austen wrote some of the most remarkable romantic novels in English, and Emma is said to be written at the height of her powers. 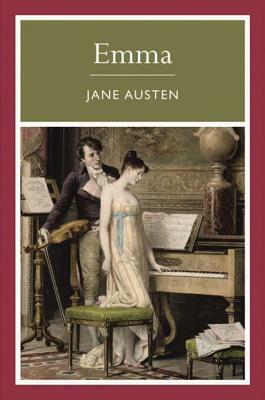 Like all her novels (Pride and Prejudice and Sense and Sensibility), the narrative is simple, straightforward and the story develops through seemingly commonplace conversations and events. Emma is twenty one year old daughter to rich Mr Woodhouse, "full of trivial communications and harmless gossip." The story captures how Emma comes to terms with her own errors of judgement, and how she discovers her liking and love for one of the chief characters of the novel.